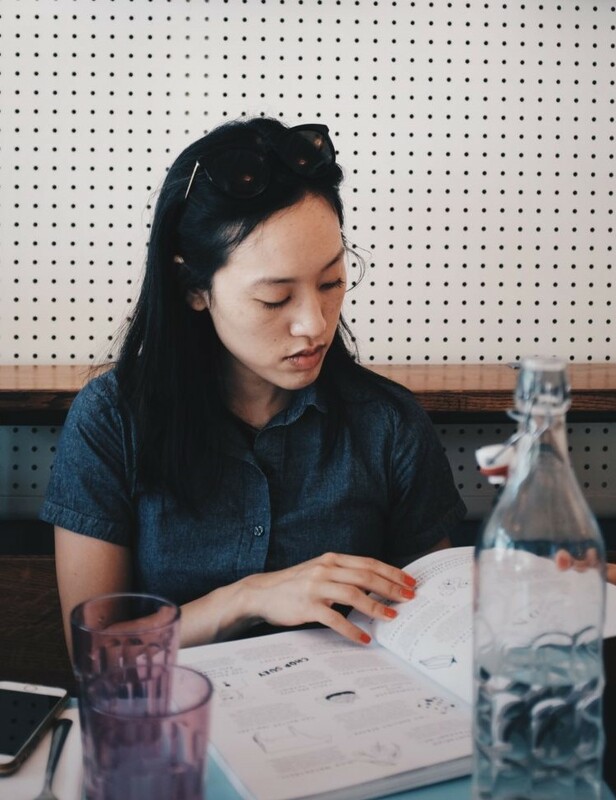 It used to be the case that the reasons you found yourself in the Financial District were that a) you worked at Goldman Sachs or b) you had newly moved to an apartment in the area and didn’t know any better. Now, however, the Financial District has evolved considerably beyond being an abandoned lot occupied by 20-something analysts living in converted office buildings. 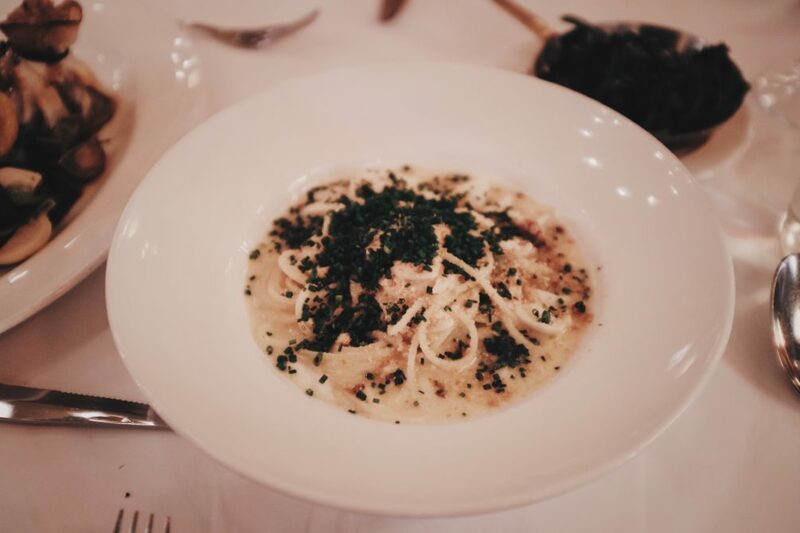 There are fast-casual restaurants open past the hours of 6 pm, the splashy shopping center Brookfield Place is nearby, and the luxury Beekman Hotel recently opened to validate the Financial District’s improving status in the world. 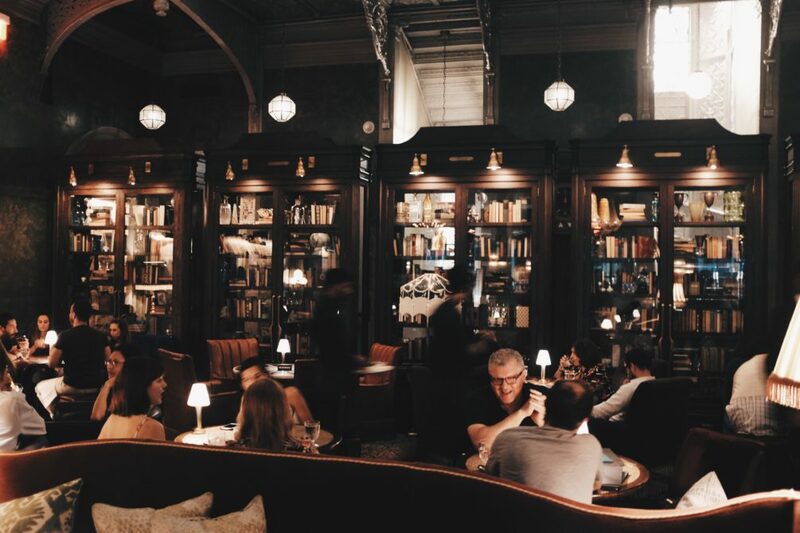 Inside the Beekman Hotel is a little piece of Parisian paradise at Keith McNally’s new restaurant Augustine. 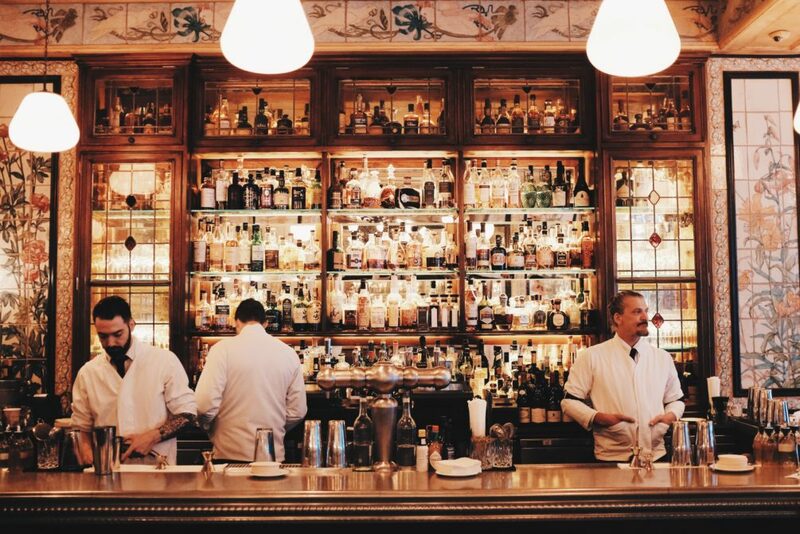 The space lives up to our dreams of what an ideal brasserie would look like – an elegant bar leading to old-world seating booths set beneath the splendor of glamorous lights, big, bold mirrors and beautiful ceramic walls. 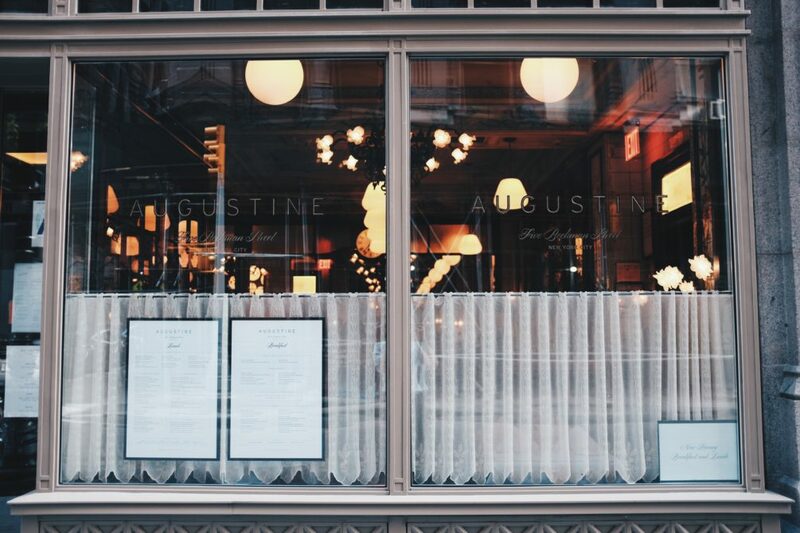 You’re more likely to rub elbows with well-dressed out-of-towners rather than locals, however, given that Augustine is a hotel restaurant, but when they tend to be the likes of famous chef Thomas Keller, then you’re more than happy to branch out of your immediate NYC circle. The food is of a style that celebrates the world of classic French cuisine like steak frites and duck l’orange, although sometimes it can border on caricature. 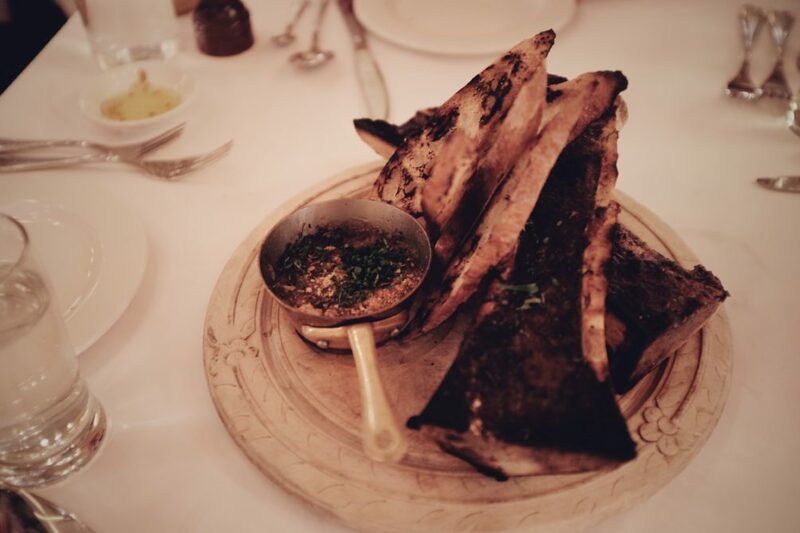 The roasted bone marrow appetizer, for instance, arrived with not just one but two gargantuan long bones fully exposing deep canals of rich, fatty marrow. We get it that French people like their fats, but to this degree? Maybe they do, especially if it comes with a side of exquisite oxtail marmalade. The presentation was over-the-top but in the end the two bones were happily scraped clean. 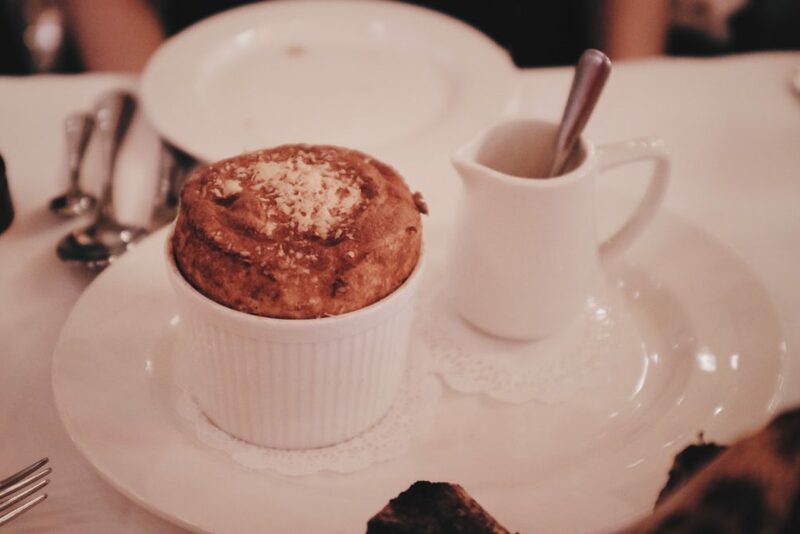 The souffle au fromage was less overwhelming, although when it first arrived, the big and puffy cheese cloud popping out of the souffle dish also looked like it could do some damage. After all, we’re talking about pure Gruyere and Parmesan cheese here. But this one was more understated when eaten, similar to eating a tasty polenta with melted cheese, and a dollop of horseradish for relish. There were less grandiose appetizers that we did try, like the heirloom tomato salad, but they tended to be overshadowed by their showier counterparts in both flavor and presentation. 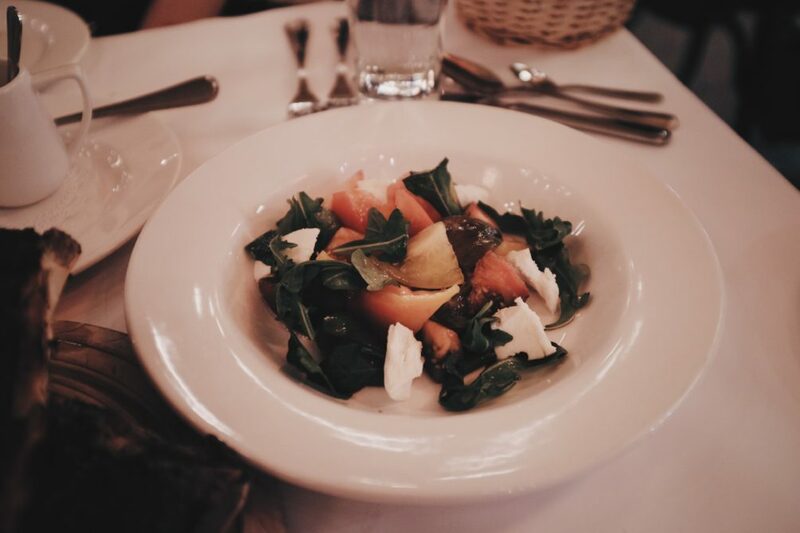 The main courses are divided into the lighter fish, pasta and salad entrees, and the robust rotisserie options. Augustine excels in big and meaty projects, so it’s best to steer towards the steaks and chickens, even if you’re already reeling from the bone marrow and souffle. 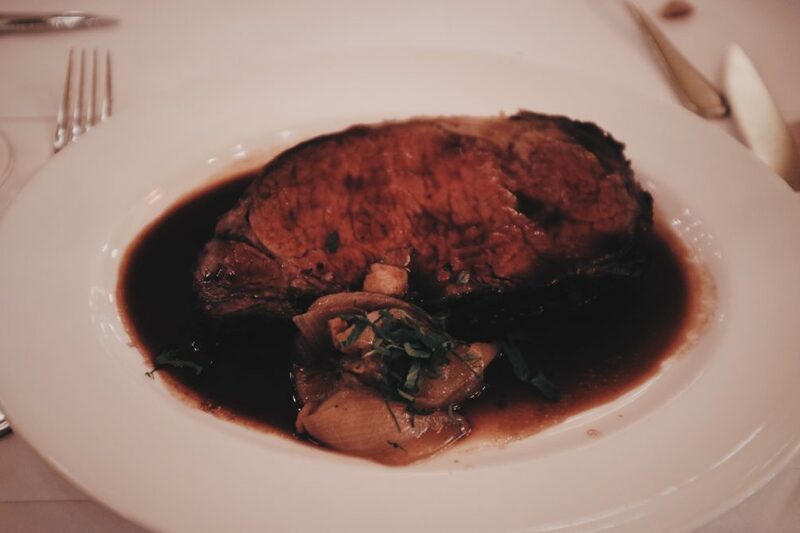 The prime rib is a special only served on Saturdays, but if it’s available, you should certainly get it. 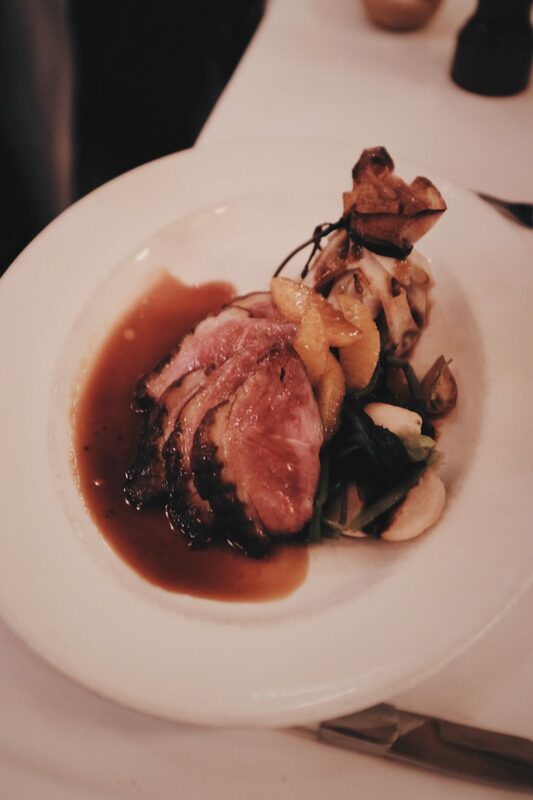 The duck l’orange sounds like an old and stuffy French staple, but the version at Augustine tastes like an exciting new find, and in my opinion, it was the best dish of the night. It’s hard to do dessert at Augustine when the whole meal trends towards rich ingredients and flavors. 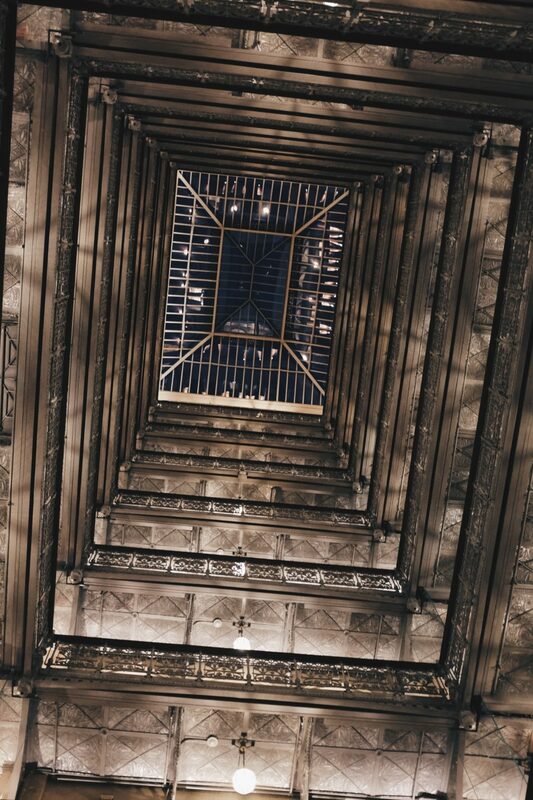 A better end-of-meal apertif may be to walk through the Beekman Hotel and admire the architecture and design all around you. The reception area is gorgeous, and the open atrium is especially impressive and stunning. You might finally be convinced that the Financial District has really come into its own as a desirable destination.